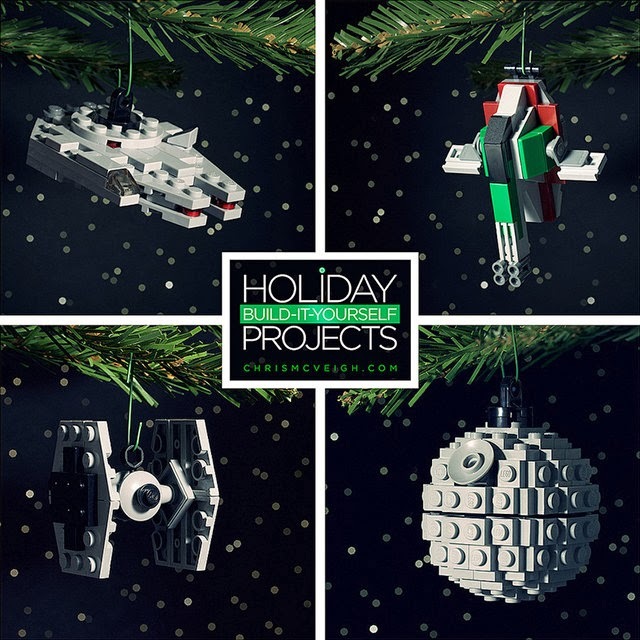 If you're one of those folks who can't rest with LEGO just beneath the Christmas Tree, well Chris McVeigh has a few inventions that will have you decking the halls - and if you're a fan of Star Wars or Dr Who, then even the halls won't be enough. 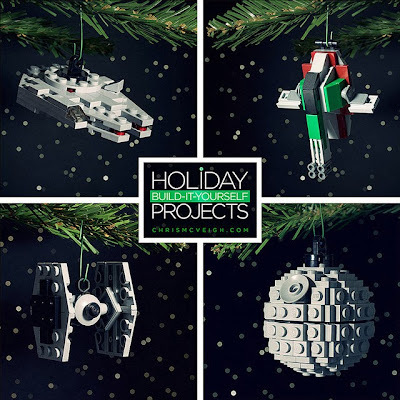 Chris has created a series of Sci-Fi LEGO Christmas ornaments, listing the parts and instructions needed to build each on his website. If sorting out the naughty from nice has you lost for time, Chris even allows you to buy the sets right from the man himself here! For me it would be Death Stars and TIE Fighters all the way, but that's just my inner grinch speaking. If the Christmas desserts I'm supplying don't turn out, that's when you'll really see the Death Star unleashed. 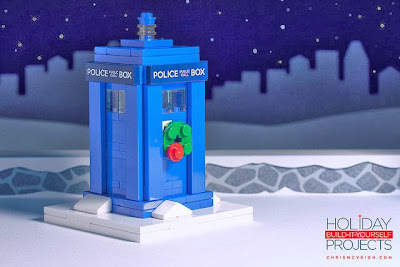 That Tardis one is cute - kids would love that. Lots to catch up on - my computer broke on Sunday so haven't been able to post since then. Had to buy a new one as my old one couldn't be replaced - al this unnecessary expense just before Xmas! Think I'll make me own decorations! Dam Karl - sorry to hear about that! Repair or replacing anything of value this close to X-Mas is a doozy. My car has just given me that gift as well, and getting it repaired pre-xmas might be a trick!